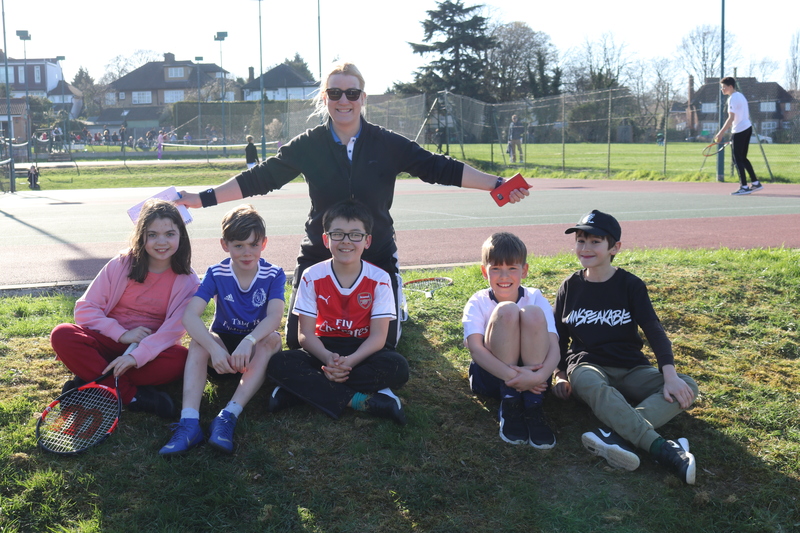 A beautiful sunny afternoon and a fabulous turnout for our Spring Term tournament. 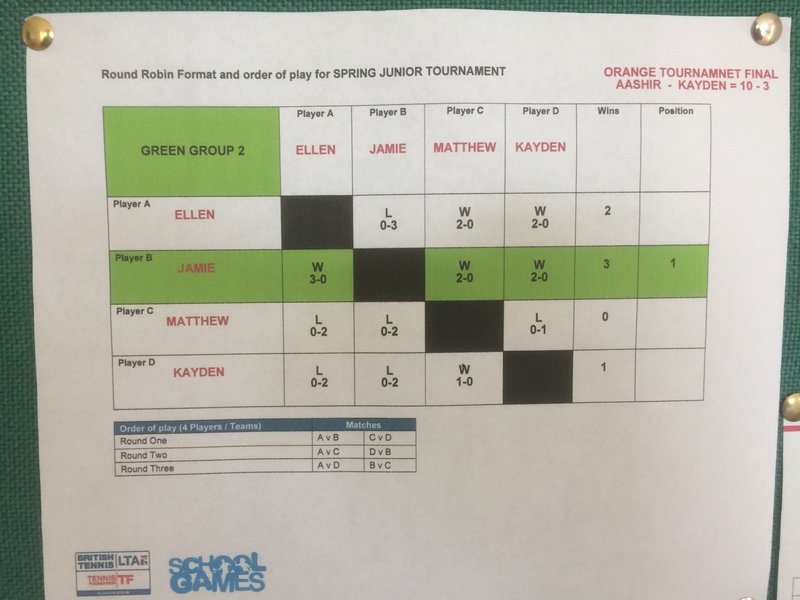 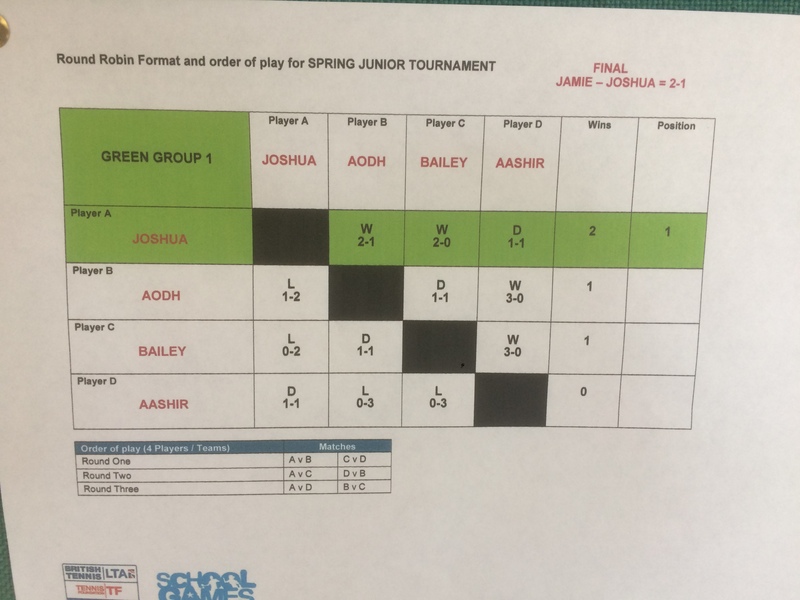 Congratulations to our winners, Jake (Yellow Ball) Jamie (Green Ball) Aashir (Orange Ball) & Ella (Mini Red) and well played to all the Juniors who entered. 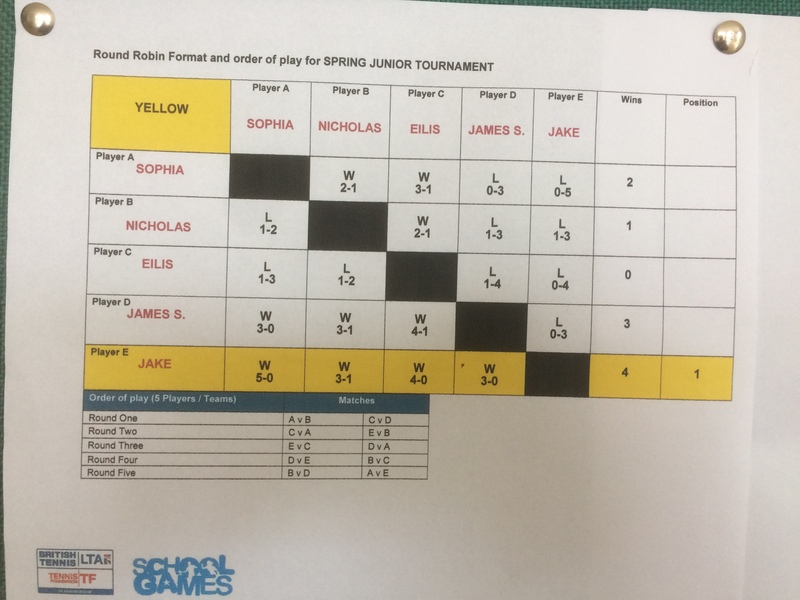 A big thanks to Ildi & Edwin for organising and running the event, to all our Umpires and to all the family & friends who came along to support the event.